Ann-Marie heads up a professional services team within one of the Faculties and is committed to both individual and organisational development. She thrives on supporting individuals to realise their potential and has seen the benefits that coaching can bring, by facilitating learning and enabling people to come up with their own solutions. Ann-Marie is a warm, empathetic coach who offers an open, supportive and reflective environment in which to help develop insight, clarify goals and drive action. Ann-Marie has many years of informal coaching and mentoring, which has been more recently formalised through the ILM 5 Coaching & Mentoring qualification. She works with talented individuals at the University to help them develop their own solutions to problems, in order to enhance their confidence, self-awareness and ability to achieve their goals. She is a committed, attentive and supportive coach who provides a safe environment in which to help people to think about things in a different way. Ann-Marie leads a multi-functional professional services team within a Faculty and is committed to the development of her team both individually and organisationally. 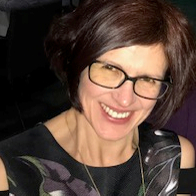 As a Bath Branch AUA Advocate, she promotes continuing professional development across the organisation more widely through events, networking and supporting professional accreditation. She also contributes to and leads on institutional level projects such as employability and developing a placements management information system. Previously worked overseas providing technical support for software companies.